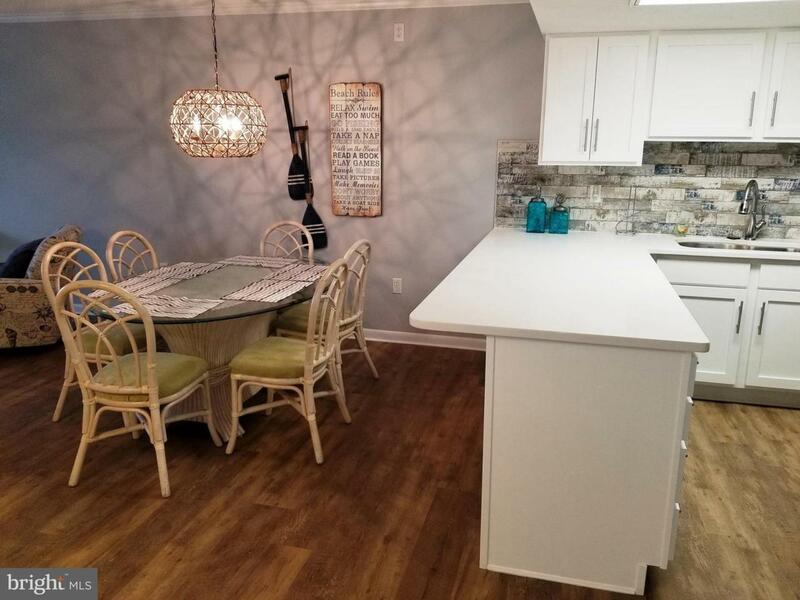 This just renovated turnkey 2 bedroom rustic coastal condo is located close to the Boardwalk and has great views of the ocean. 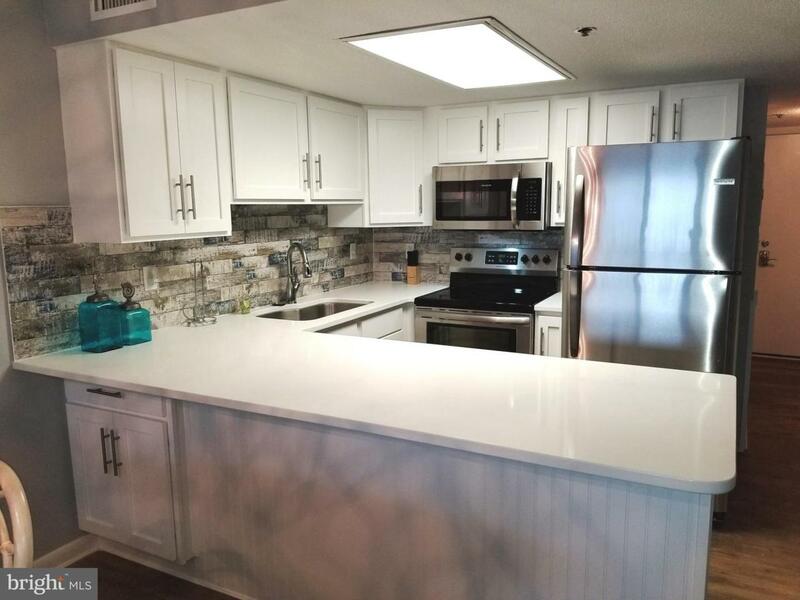 Renovations include: new luxury vinyl plank flooring with cork and sound dampening throughout ($8k), freshly painted walls, trim and ceilings, new solid wood shaker doors on all kitchen cabinets, quartz counter top, stainless steel appliance suite, guest bedroom furniture, and hot water heater. Glass sliders and corner window (approx $11k cost), master bedroom furniture, all mattresses, and living room swivel barrel chairs all replaced in spring of 2018. Gross rental income in $36k and $34k in 2018 and 2017 respectively. 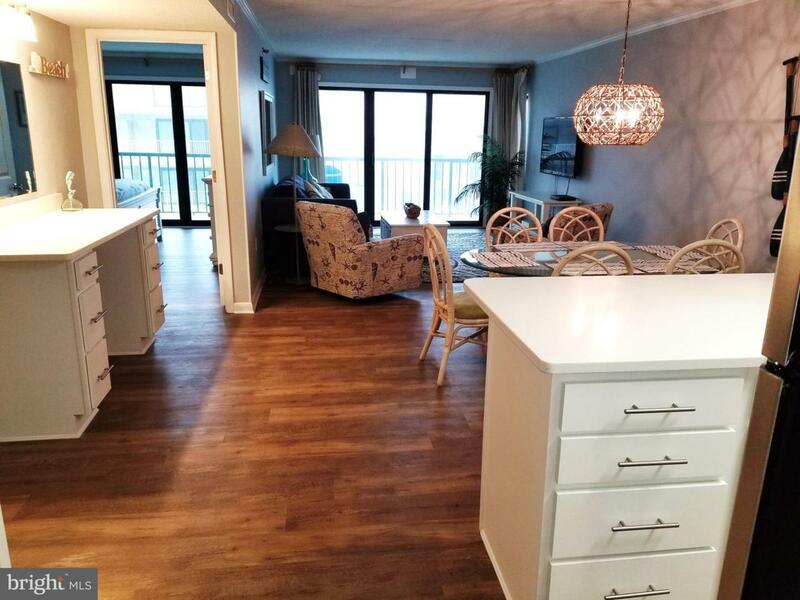 This lovely condo puts you in the heart of Ocean City, just a few blocks from the Boardwalk and south of the mid-town hustle and bustle. 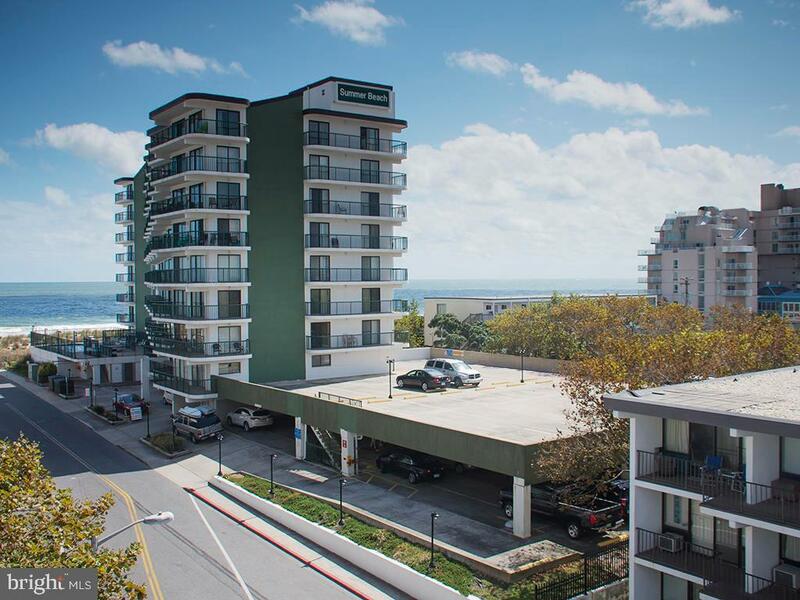 Building has onsite rental office, covered & open parking, low-density beach area, professional building management, and a secured lobby.